Our Little Dragons Program is designed for pre-school and kindergarten children. The classes are 30 minutes long, and students may attend up to two classes per week. This special program will teach your child basic Karate skills that develop hand-eye coordination, concentration, self-esteem, self-control, and social skills. In the program, students will learn how to block, kick and punch targets, how step, and how to turn. We believe in positive reinforcement and progression. Therefore, younger children receive constant feedback with small rewards at the end of every class to show they’re progressing and to keep them engaged. In our experience, we’ve seen that it is usually most helpful to the student, especially new ones, for them to stay with a consistent class schedule. The Power Dragons Program is designed to teach your child basic martial arts skills, self-defense and physical fitness, coordination and concentration abilities, self-esteem, self-control, and social skills. Children in the Power Dragons program learn the same basic skills as in the Little Dragons Program but at a more advanced level. Basic techniques are put together in longer sequences, and students in this program also begin to learn basic sparring techniques and the responsibility that comes with them. We believe in positive reinforcement and progression. Therefore, younger children receive constant feedback with small rewards at the end of every class to show they’re progressing and to keep them engaged. In our experience, we’ve seen that it is usually most helpful to the student, especially new ones, for them to stay with a consistent class schedule. In our Youth Karate Program, classes are divided up into two different groups. We have the Beginner/Novice group and the Intermediate/Advanced group to meet your child’s specific needs. The classes are one hour long, and students may attend up three classes per week. In our youth program, students will learn basic self-defense skills and physical fitness while developing coordination, concentration, social skills, self-respect, and respect towards others. Youth program students also begin to learn techniques from escaping grabs and other non-striking attacks. As students move into intermediate/advanced levels they learn more about applying the techniques they are learning. 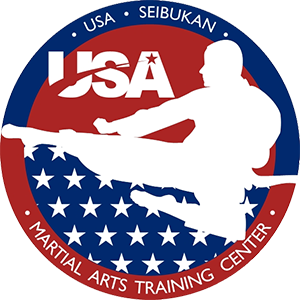 In our Adult Martial Arts Program, we cover a variety of different martial arts, including Karate, Aikido, Judo, and Kobudo (weapons training), while concentrating mainly on Karate. This program allows adults to unwind and distress, while at the same time learning self-defense skills and improving physical fitness. Students will also build self-confidence and awareness, while socializing with other adults. In this program, students learn joint locks, escapes, and defense against weapons. As students master these basic techniques, they are put together in longer sequences. Students also learn basic sparring techniques and the responsibility that comes with them. Martial arts have the power to change lives. We’ve seen the transformation so many times- that’s why we do what we do. Martial arts are so powerful because the traditions, values, and skills you learn help you become a healthy, well-rounded individual. There are many articles out there that describe the countless benefits, so we’ll just briefly talk about those we see the most at USA Seibukan. Ability to Defend Yourself: Being able to defend yourself is one of the most recognized benefits of martial arts. This skill comes through practice and repetition of the techniques, which helps you understand how to apply the methods to a given situation outside of class. Ability to Focus and Direct Attention: Practicing martial arts helps both adults and children improve focus, listening and overall concentration. In class, you’re often asked to watch a demonstration and repeat it. While this is not easy for everyone at first, the more you do it, the easier it becomes. This process builds concentration skills and improves attention span. This benefit is often helpful for people with ADD/ADHD or similar challenges too. But, in our fast-paced, technology-driven world, everyone could benefit from the improved cognitive skills martial arts provides. Self-confidence and Self-esteem: Over the last thirty years of teaching martial arts, we have seen many students come in looking down at the floor not saying a word. But after taking classes for a while, they leave with their head held high, speaking to everyone in their path. This confidence comes from learning new skills and being part of our USA Seibukan family. Mastery of Self-discipline: The building of self-discipline starts with students wearing their uniforms and bringing their safety equipment to class and quickly builds from there. Students are expected to put away practice equipment, line up quickly, and always follow instructions. Soon, students need no direction, and the responsibility spills over to life outside the dojo. Preparing for belt tests turns into preparing for school exams and remembering to bring sparring equipment turns into always remembering your school backpack. Ability to Resolve Conflict: Martial arts give you the tools you need to diffuse conflict peacefully. This skill comes from knowing you have practiced enough kicking, punching, and escaping to take care of yourself. You gain the confidence and patience to continue working through a situation before it turns violent. Respect for Self and Others: In any martial arts school, there is a process for how things are done. For example, classes start and end with a progressive set of bows, and practice with a partner begins and ends by bowing to each other. Students are also expected to respond respectfully when their instructor speaks to them. This etiquette and sense of respect and honor become habit for students and transfers to their daily lives. Aptitude for Working with Others: Martial arts often uses partner drills which require communicating and working together. Students also help one another practice new skills, and mentoring relationships often form between our older and younger students. While it might seem like martial arts is a solo activity, the training program and its required etiquette give students the opportunity and skills to become strong team players. If you’re interested in experiencing these benefits for yourself or your child, join us for a free class.